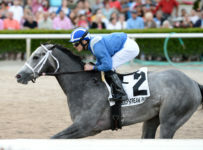 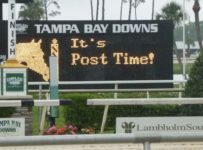 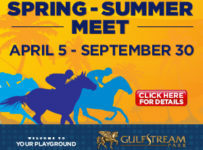 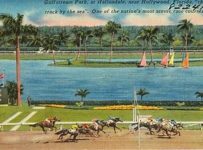 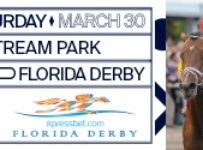 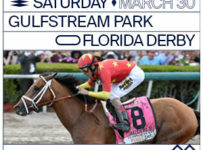 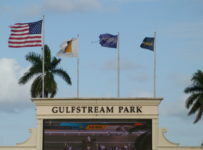 Gulfstream Park plans a 12 race card Saturday, with a 12 Noon first post. 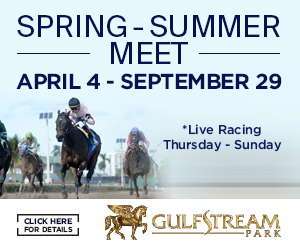 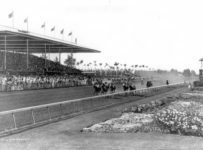 Two stakes races are planned in races 6 and 11 on the turf course. 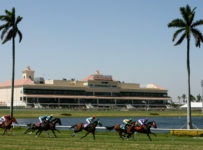 Friday’s action included 6 favorites crossing the wire and another carryover on the Rainbow 6 wager, as 55 starters in that bet resulted in multiple winners (29). 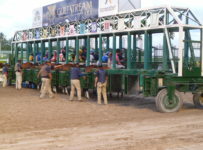 With 11:1 and 8:1 winners in two legs, the payout was $7,783 for each winning ticket. 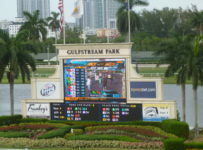 The late Pick 4 paid $968, and the late Pick 5 paid $1,059. 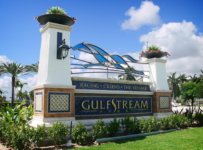 Gulfstream has set today, Feb. 9 as a mandatory Rainbow 6 payout day—regardless of the number of tickets with the winners of all six Rainbow 6 races. 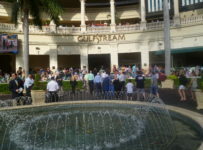 With a carryover of $1,509,922 today, we expect perhaps $500,000 to $700,000 in wagers to the pool today. 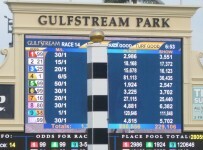 The Rainbow 6 is on races 7 to 12 with the sequence scheduled to start at 3:07 PM in race 6.